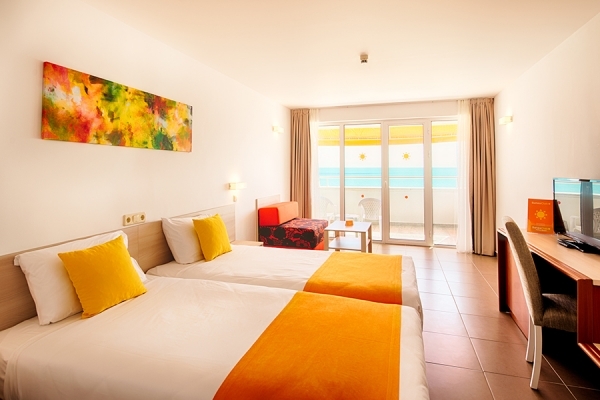 Enjoy a perfect location and a high quality All Inclusive ! 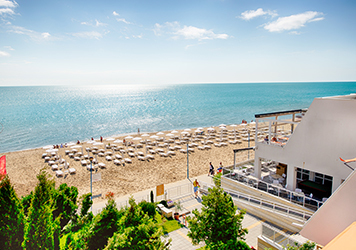 The hotel is situated right on the beach, on the Black Sea coast and offers its visitors an exceptional price-quality ratio. 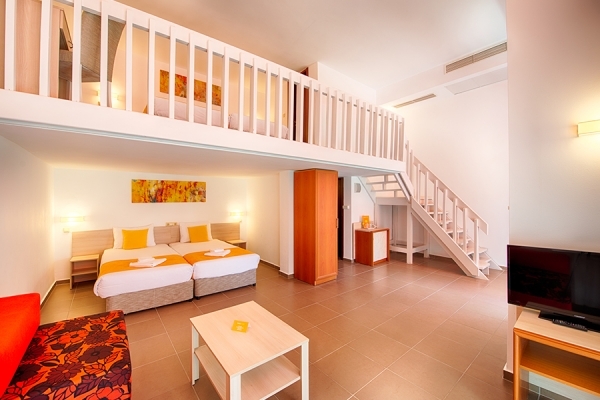 The hotel has 191 rooms – double, superior, family and apartments, suitable for any type of accommodation. The hotel is a perfect place to relax for families with children, couples or just a group of friends. The hotel operates on All inclusive basis. At guests’ disposal there is a main restaurant with a terrace, a theme restaurant, a lounge bar with a terrace, a pool bar with a water bar, a swimming pool (450 square meters), a children’s section and free sun beds, umbrellas and umbrellas at the pool, playground and mini -club, free gym, free Wi-Fi throughout the hotel and beauty salon, massage and sauna (at extra charge) at Riu Helios Bay – (300 m), fitness, table tennis, darts, beach volleyball. After dinner, our guests can enjoy live music and entertainment at the hotel bar. The hotel has 191 rooms – double, superior, family and apartments, suitable for any type of accommodation.